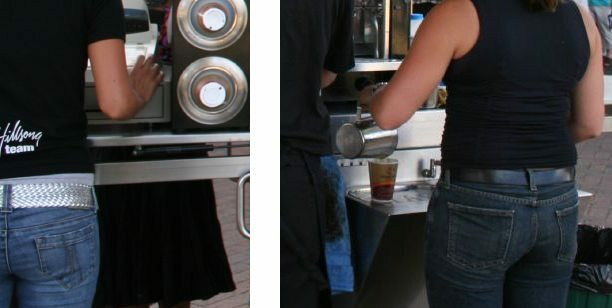 « Gloria Jean’s and Hillsong suffer bizarre coincidental website glitch! Gloria Jeans has responded to community disgust at its funding of the Australian Christian Lobby hate group. At close of business on Friday night, GJ’s quietly tried to bury the bad news. 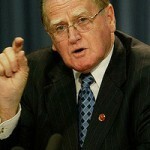 Again we would like to apologise for any hurt or offence which may have been caused by the paid advertising we undertook for the 2010 prime ministerial debate event, hosted by the Australian Christian Lobby (ACL). A classic notpology: Gloria Jean’s is sorry everyone’s pissed off at them. They haven’t, you’ll notice, apologised for handing over $30,000 to an anti-gay lobby group. They also claimed the $30k donation was not a donation, though the Australian Electoral Commission clearly seems to think it was a donation, and I don’t know who to trust because Gloria Jean’s wouldn’t lie, would they? We are not affiliated with Hillsong, however we do support a wide range of charities and churches in the communities in which our coffees houses operate including Hillsong. 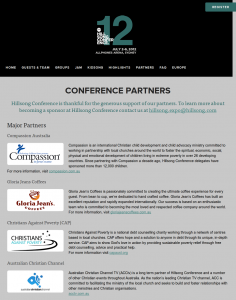 So Gloria Jean’s support Hillsong, but they are not affiliated with them. 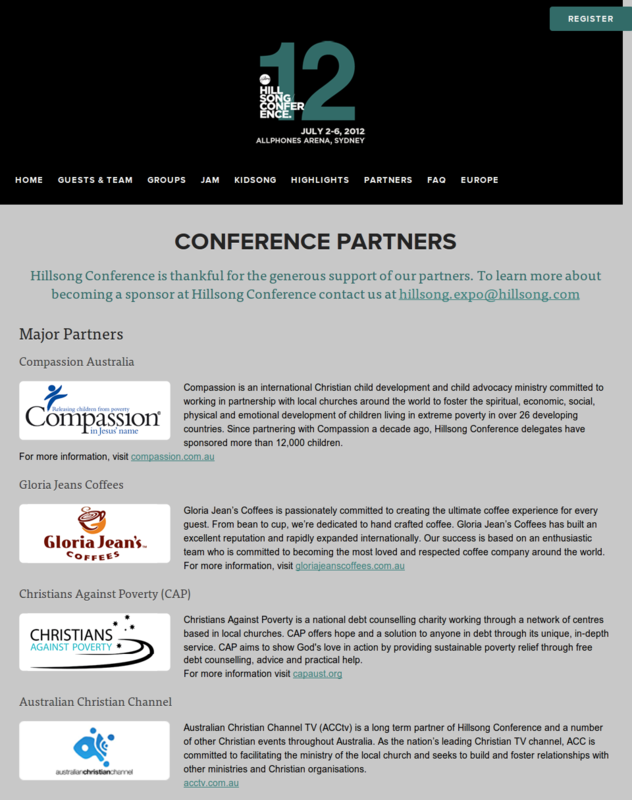 Remember the way Gloria Jean’s suddenly disappeared from the list of ‘major partners’ for the Hillsong Conference? Well they’re back now. Gloria Jean’s is a major partner of Hillsong, but they are not affiliated with them. As it happens, I’ve been to Hillsong. When I went to their Hills campus, first-time visitors were given a voucher for their first free coffee. But only the first coffee on the first visit. Coffee doesn’t grow on trees, you know! It was all a far cry from the Church of England, which fucked up my childhood but at least gave me free tea. Oh, now where do you suppose you buy this coffee at Hillsong? Why, from Starbucks of course! Only kidding. It’s Gloria Jean’s. I bet you knew that. 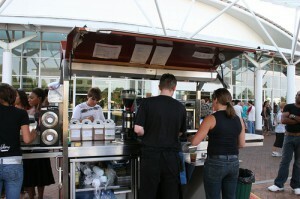 Here’s a picture of the Gloria Jean’s-branded coffee cart at Hillsong itself. Not affiliated. Not affiliated. Not affiliated. Gloria Jean’s has a coffee cart actually at the Hillsong church, but they are not affiliated with them. Look closely, and you can see the Gloria Jean’s logo there on the coffee cup, just chillin’ out, maxin’, relaxin’, all cool and all not affiliated with the young lady at the till there. The one in the ‘Hillsong team’ t-shirt. There’s a lot more that could be said, about how Gloria Jean’s bosses are not affiliated with the church they’re elders of, or about the tangled web of relationships (but not affiliations) surrounding gay-exorcists Mercy Ministries, their financial backer (but not affiliate) Gloria Jean’s, and the Hillsong empire. But I think I’ve already shown in what sense Gloria Jean’s mean they are ‘not affiliated’ with Hillsong. In the sense that Ted Haggard is completely heterosexual. This entry was written by Dave The Happy Singer, posted on June 15, 2012 at 20:49, filed under religion and tagged ACL, Australian Christian Lobby, Christianity, Gloria Jean's, Gloria Jean's Coffees, Hillsong, religion. Bookmark the permalink. Post a comment or leave a trackback: Trackback URL. Is the juxtaposed words in that image a criticism of Kev or the ACL? Neither! It’s pure coincidence! Like really. Hi all, I thought we were a free country, but it looks like it’s only if your pro gay you are free to criticize. You are all being a bit hypocritical dont you think? Thank you for your critical comment. I’m sorry to hear your freedom to promote homophobia is somehow being restricted. I do hope you had no issue posting here at Dave The Happy Singer Dot Com, because I tend to be very patient with fuckwits. 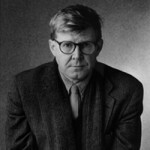 If you would like to start your own blog where you are free to announce to the world that you are a hateful bigot who opposes equal rights for gay people, I can recommend the excellent WordPress software which is freely licensed, and the host NearlyFreeSpeech.net who are as fiercely passionate about free speech as I am. If, however, your freedom of expression is not actually being curtailed and you’re merely very butthurt that everyone thinks you’re a scumbag, then I can only really suggest that you go to church and have a cry about it there. whoah this blog is excellent i like studying your articles. Stay up the good paintings! You understand, lots of individuals are searching round for this info, you could help them greatly. Good day very cool web site!! Guy .. Excellent .. Wonderful .. I’ll bookmark your website and take the feeds also…I’m happy to find so many helpful info here in the publish, we’d like develop extra techniques on this regard, thanks for sharing. hello!,I love your writing very much! share we keep in touch more approximately your post on AOL? I need an expert on this area to unravel my problem. Maybe that is you! Looking ahead to see you. hey there and thanks on your info – I’ve definitely picked up anything new from proper here. I did alternatively expertise some technical points the use of this site, as I experienced to reload the site a lot of times prior to I may just get it to load properly. I were considering if your hosting is OK? No longer that I am complaining, but sluggish loading cases occasions will sometimes affect your placement in google and could harm your quality rating if advertising and ***********|advertising|advertising|advertising and *********** with Adwords. Anyway I am including this RSS to my e-mail and can look out for a lot extra of your respective intriguing content. Make sure you replace this once more soon..